Hello! I'm Mike Perrucci, also known as mazeguy. 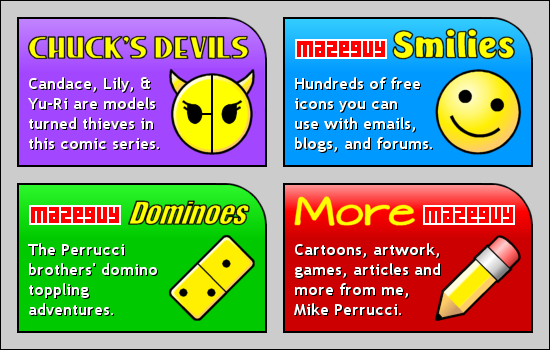 Over the past 20 years, I've created a bunch of different things: Smilies, domino toppling videos, animations, and games, just to name a few. Candace, the disco queen with a big brain hidden under an even bigger afro. Lily, the hippie radiating peace and love in an increasingly hostile world. Yu-Ri, the tough South Korean who discovered Daisy Duke while in the American South. Brought together by the shadowy Chuck, these misfit minions stumble through their new life of crime, as well as life with each other. My current plan is to produce 48 episodes altogether, each between eight and twelve pages. 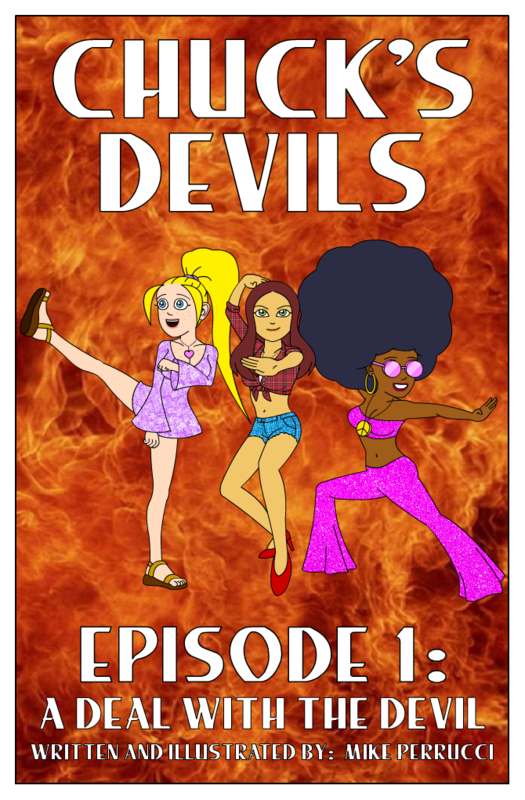 If you’d like to support Chuck’s Devils, please consider becoming a Patron. For contributing at least $1 an episode, you’ll get access to work in progress and early releases. With enough support, I can create new episodes more frequently. 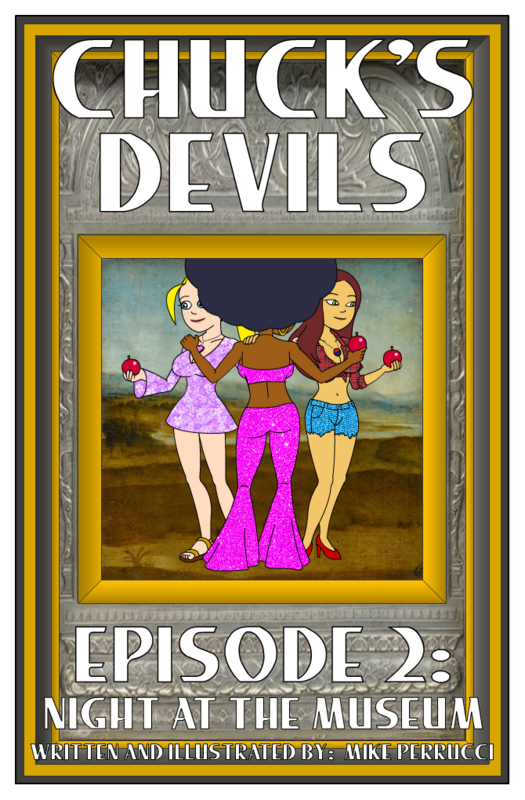 If you can’t provide financial support, I hope you’ll at least take a look at Chuck’s Devils, and tell other people about it. And please let me know what you think. One thing I’ve learned after 20 years is that any artist appreciates feedback. It lets them know people are interested in their work, which can be even more motivating than money. 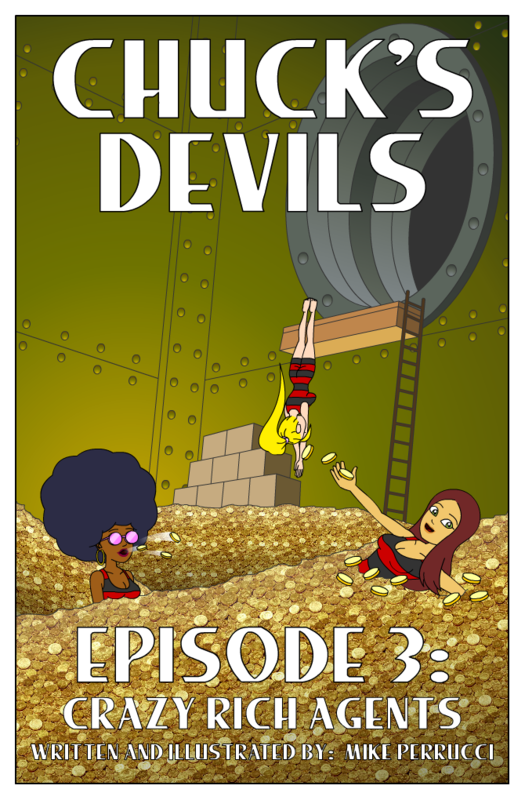 For contributing at least $1 an episode, you’ll get access to work in progress and early releases.